Doubling one’s salary in overtime hours is a dream for some — but for a few San Francisco Municipal Transit Agency workers, it is a reality. 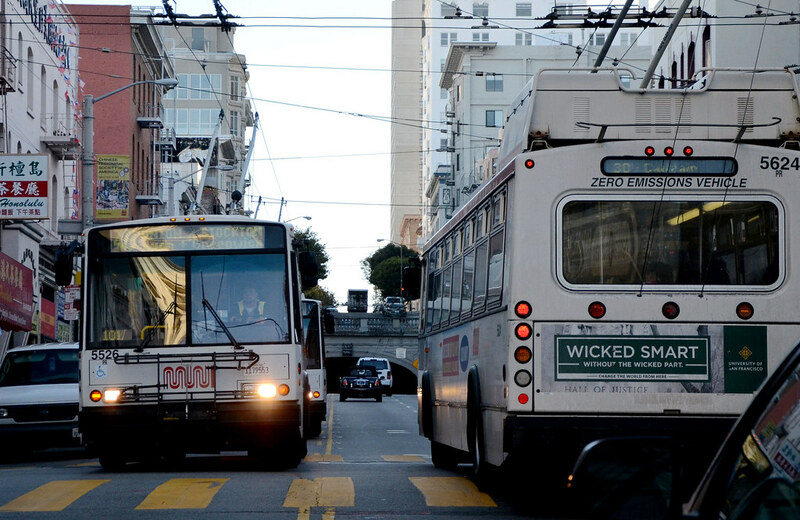 According to the San Francisco Controller’s Office, which oversees the city’s accounting and auditing, a handful of SFMTA employees made more than $100,000 in overtime alone. One SFMTA electronic maintenance technician more than doubled their $106,000 base salary by working more than 1,900 overtime hours — earning $163,795 for overtime. SFMTA spokesman Paul Rose sees overtime as a necessity for the transit agency to thrive. “For a transit agency of this size, overtime is sometimes needed to function,” Rose said. Though the transit agency may be giving generous overtime, it comes at a cost. The Annual Overtime Report, released Jan. 3, found that city departments such as SFMTA, the Fire Department, and the Police Department, caused the city to go $18 million over budget for the distribution of overtime in the 2011-12 fiscal year. SFMTA topped the list for the department that overspent the most, going 60 percent over budget for overtime spending. SFMTA employees aren’t the only city workers topping the list for large amounts of overtime. In the Annual Overtime Report, it was found that 863 city workers exceeded overtime limits. SFMTA came in first place with 510 workers breaking the administrative code that dictates city employees cannot work more than 25 percent of their scheduled hours as overtime. The San Francisco Fire Department came in second with 292 employees exceeding overtime limits. SFFD public information officer, Mindy Talmadge, finds that more employees are forced to work overtime in the fire department due to a large influx of retiring workers. According to Rose, SFMTA plans on hiring more employees for the positions that had thousands of overtime hours logged in. Joyce Gu, an 18-year-old San Francisco resident, rides Muni daily. She believes that hiring more employees is the right thing to do — as long as there is improvement within the transit agency. Though SFFD does not have an exact plan to offset overtime, the department has made the commitment to hire more employees and prevent the impact of many employees going into retirement at the same time. Talmadge sees high overtime hours as an indicator that something may need to change for the San Francisco city departments that landed on the Annual Overtime Report — such as SFMTA and SFFD.